"I'd rather rule in Hell than serve in Heaven", says Oscar winner Mahershala Ali in the new Super Bowl spot for Alita: Battle Angel. It's not only my favorite part of this brief footage but one of the best lines in a movie I genuinely enjoyed. My review will be up in the morning, but for now take a look at the amazing visual effects on display from James Cameron and Robert Rodriguez, the unlikely duo who teamed up to bring the classic manga to the big screen. The film stars Rosa Salazar in the title role, a scrapped cyborg who is rescued by a doctor who rebuilds her into the most formidable fighting machine in a dystopian world. Christoph Waltz, Jennifer Connelly, Mahershala Ali, Eiza Gonzalez, Jackie Earle Haley, and Keean Johnson co-star. 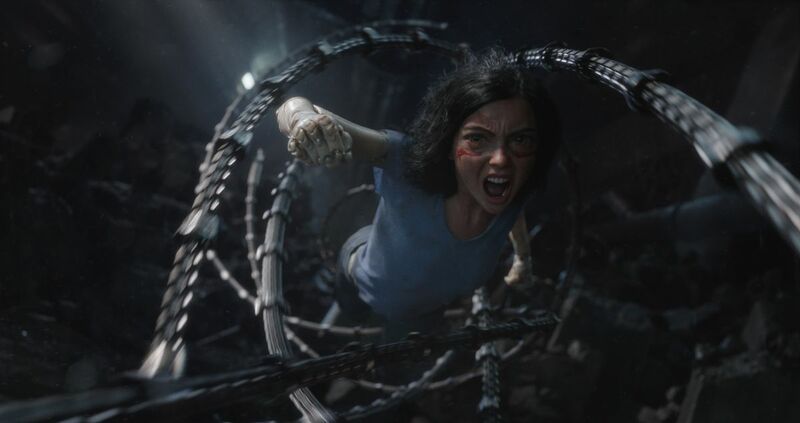 Alita: Battle Angel opens February 14th. I'm a little concerned about projections it'll be a box office bomb. It doesn't deserve to go the route of Ghost in the Shell and I hope the good reviews will prevent that from happening. I've included a behind-the-scenes featuring showing the incredible work done by WETA Digital to build the movie's world.